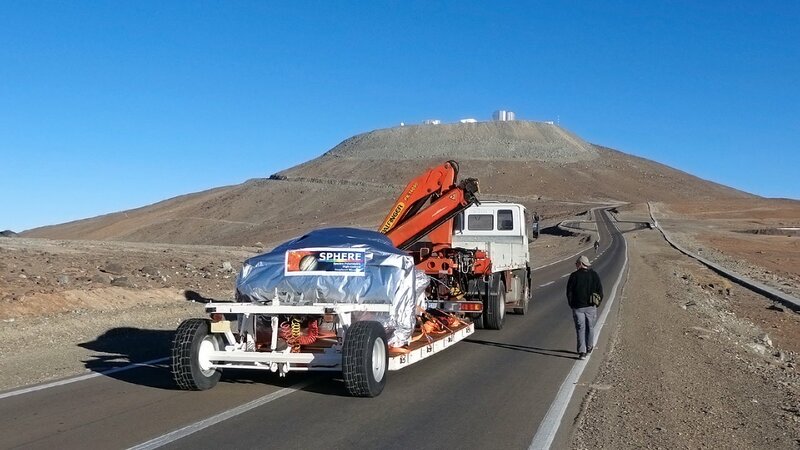 SPHERE — the Spectro-Polarimetric High-contrast Exoplanet REsearch instrument — has been installed on ESO’s Very Large Telescope (VLT) at the Paranal Observatory in Chile and has achieved first light. This powerful new facility for finding and studying exoplanets uses multiple advanced techniques in combination. 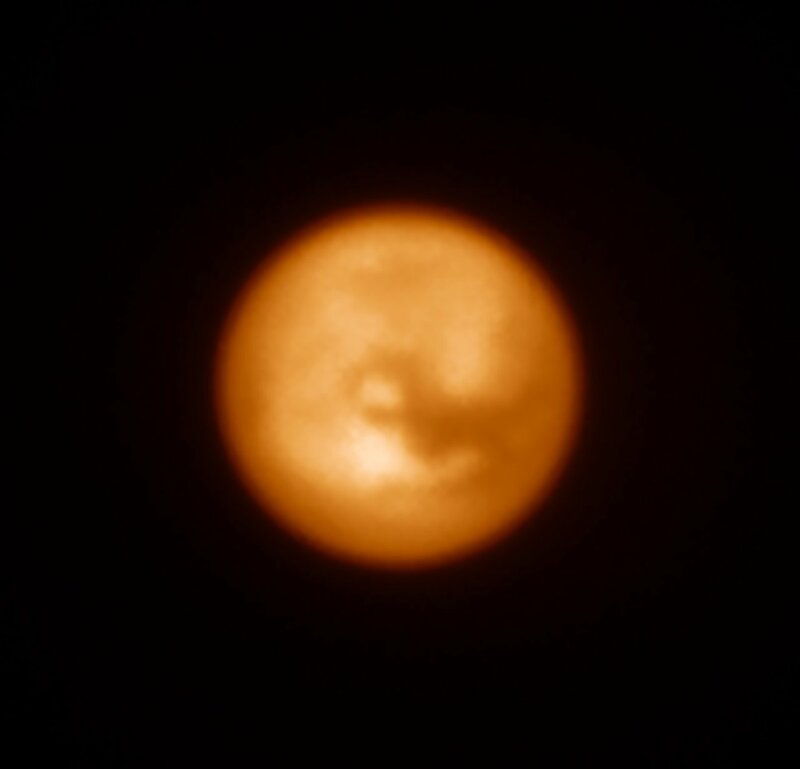 It offers dramatically better performance than existing instruments and has produced impressive views of dust discs around nearby stars and other targets during the very first days of observations. 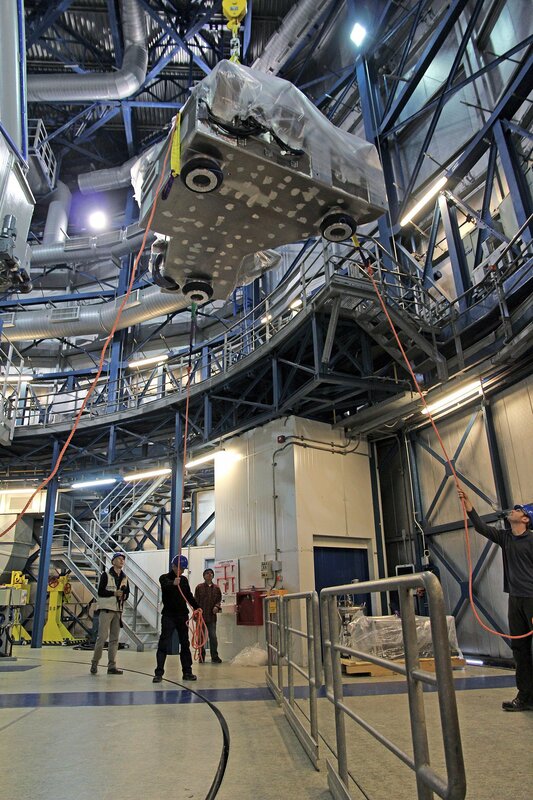 SPHERE was developed and built by a consortium of many European institutes, led by the Institut de Planétologie et d'Astrophysique de Grenoble, France, working in partnership with ESO. 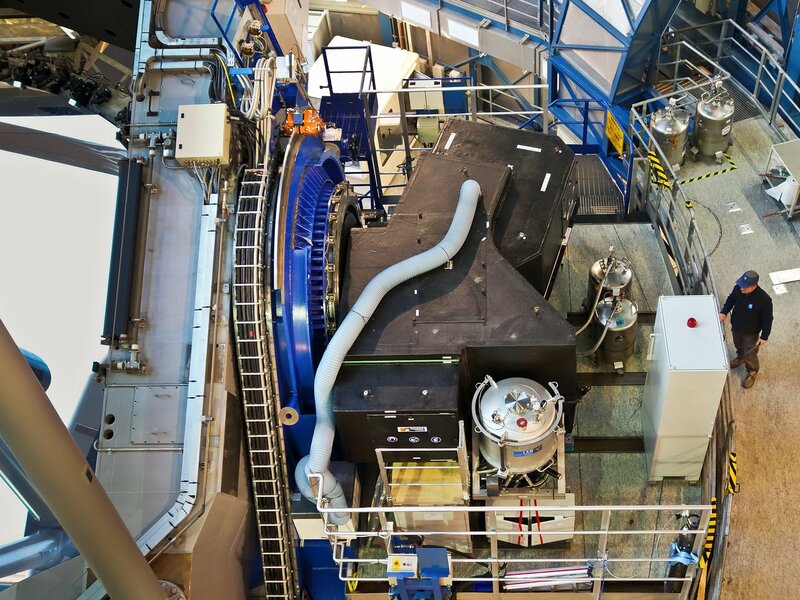 It is expected to revolutionise the detailed study of exoplanets and circumstellar discs. “SPHERE is a very complex instrument. Thanks to the hard work of the many people who were involved in its design, construction and installation it has already exceeded our expectations. Wonderful!” says Jean-Luc Beuzit, of the Institut de Planétologie et d'Astrophysique de Grenoble, France and Principal Investigator of SPHERE. 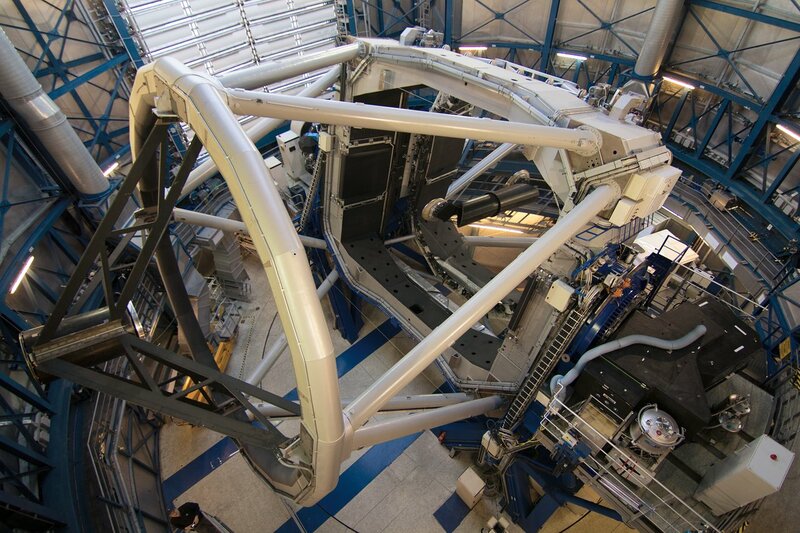 SPHERE’s main goal is to find and characterise giant exoplanets orbiting nearby stars by direct imaging . This is an extremely challenging task as such planets are both very close to their parent stars in the sky and also very much fainter. In a normal image, even in the best conditions, the light from the star totally swamps the weak glow from the planet. The whole design of SPHERE is therefore focused on reaching the highest contrast possible in a tiny patch of sky around the dazzling star. 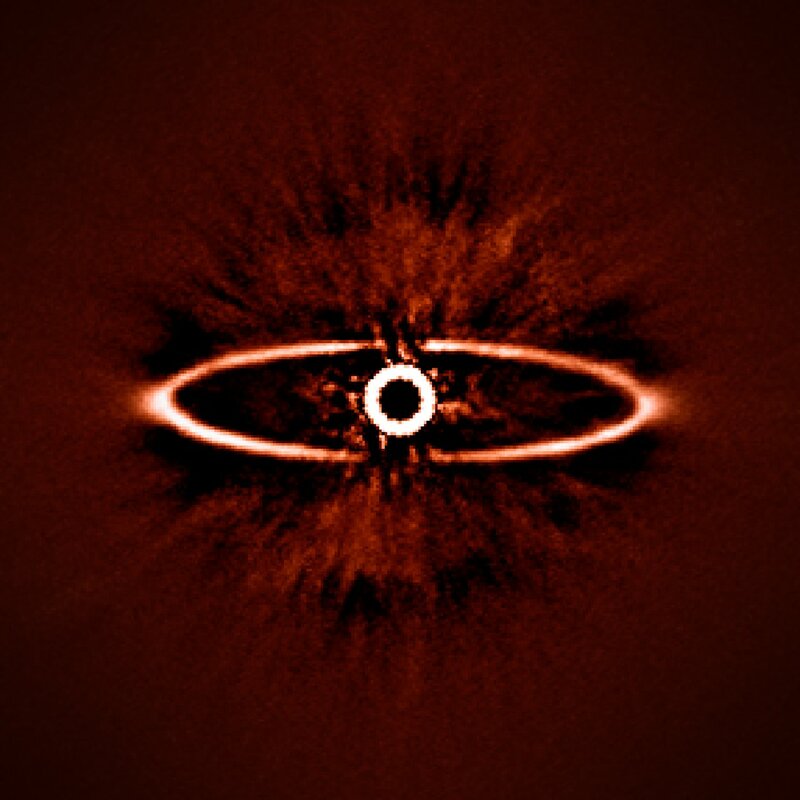 The first of three novel techniques exploited by SPHERE is extreme adaptive optics to correct for the effects of the Earth’s atmosphere so that images are sharper and the contrast of the exoplanet increased. Secondly, a coronagraph is used to block out the light from the star and increase the contrast still further. 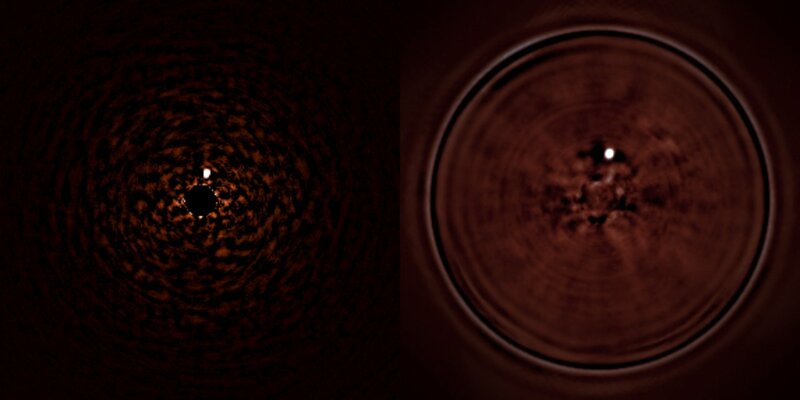 Finally, a technique called differential imaging is applied that exploits differences between planetary and stellar light in terms of its colour or polarisation — and these subtle differences can also be exploited to reveal a currently invisible exoplanet (ann13069, eso0503) . 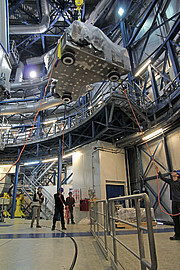 SPHERE was designed and built by the following institutes: Institut de Planétologie et d'Astrophysique de Grenoble; Max-Planck-Institut für Astronomie in Heidelberg; Laboratoire d’Astrophysique de Marseille; Laboratoire d’Etudes Spatiales et d’Instrumentation en Astrophysique de l’Observatoire de Paris; Laboratoire Lagrange in Nice; ONERA; Observatoire de Genève; Italian National Institute for Astrophysics coordinated by the Osservatorio Astronomico di Padova; Institute for Astronomy, ETH Zurich; Astronomical Institute of the University of Amsterdam; Netherlands Research School for Astronomy (NOVA-ASTRON) and ESO. 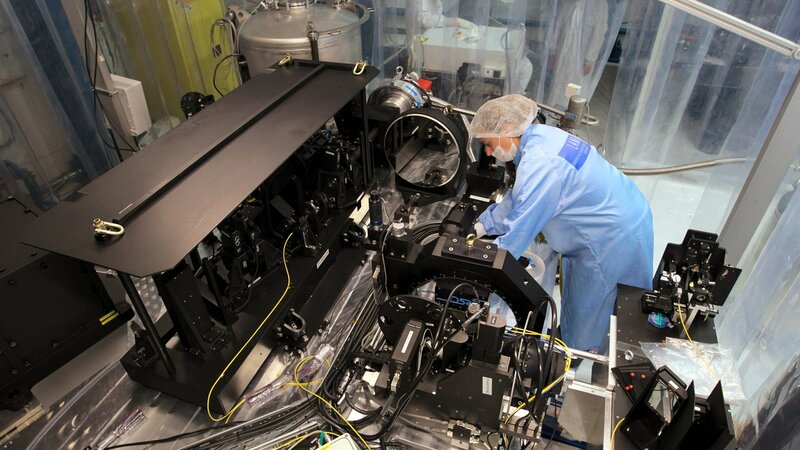 During the first light observations several test targets were observed using the many different modes of SPHERE. These include one of the best images so far of the ring of dust around the nearby star HR 4796A. It not only shows the ring with exceptional clarity but also illustrates how well SPHERE can suppress the glare of the bright star at the centre of the picture. Most of the exoplanets currently known were discovered using indirect techniques — such as radial velocity variations of the host star, or the dip in brightness of the star caused by a transiting exoplanet. 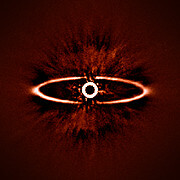 Only a few exoplanets have so far been directly imaged (eso0515, eso0842).